Alzheimer's is a disease that has perplexed researchers for decades and as many as 45 million Americans may develop it in their lifetime. Dr. Bredesen of the Buck Institute has been leading ground-breaking research on how Alzheimer's can be prevented and treated with diet and lifestyle changes, following a functional and evolutionary approach. Read on to learn how patients in his program have made impressive progress in reversing cognitive decline and recovering their lives. 5:56 How much does environment influence Alzheimer’s? 11:27 Should we get genetic testing to assess Alzheimer’s risk? 20:25 What testing do you do? Chris Kresser: Hey, everyone, it’s Chris Kresser. Welcome to another episode of Revolution Health Radio. This week I’m happy to welcome Dr. Dale Bredesen. Dr. Bredesen is an internationally recognized expert in the mechanisms of neurodegenerative diseases such as Alzheimer’s disease. He graduated from Caltech, then earned his MD from Duke University Medical Center. He served as Chief Resident in Neurology at the University of California, San Francisco before joining Nobel laureate Stanley Prusiner’s laboratory at UCSF as an NIH Postdoc. He held faculty positions at UCSF, UCLA, and the University of California, San Diego. Dr. Bredesen directed the Program on Aging at the Burnham Institute before coming to the Buck Institute in 1998 as its founding President and CEO. I met Dr. Bredesen at a Functional Forum event where I gave the keynote back in April, and we had a fascinating chat before my talk on a functional and ancestral or evolutionary approach to diagnosing and treating Alzheimer’s disease. I was really excited by our conversation, and I asked Dr. Bredesen if he’d be willing to join me on my podcast to talk about it, which he was, so without further ado, let’s jump in. Chris Kresser: Dr. Bredesen, thank you so much for joining me. I’ve really been looking forward to this. Dale Bredesen, MD: And I as well. Thanks, Chris. Chris Kresser: We met at the Functional Forum event, and I was happy to have a chance to chat with you beforehand about your work with Alzheimer’s disease and was really excited to learn that you are beginning to approach it—or have been for sometime now—from a functional and evolutionary perspective, so I want to spend our time together today talking about that, but before we do that, can you maybe just give us a 30-second idea of your background, where you’re coming from, and how you got to this place where you’re now looking at Alzheimer’s from this perspective? Chris Kresser: I saw that. Dale Bredesen, MD: —where we showed for the first that you can reverse the cognitive decline. And of course, there are caveats about getting in early and that sort of thing, but the surprise—to me, anyway, someone who is in the lab—the surprise was that the lab work really converges very much on a functional medicine model. We didn’t start out that way, but that’s where it converged, really showing that when you look at what’s driving the process, there really is a molecular switch that you see that has dozens of inputs to it, and you can see direct connections between things like estradiol level and copper-to-zinc ratios and hs-CRP and all the sorts of things that we think about in functional medicine. So I was very excited to see that these things came together in such an interesting way. Chris Kresser: Mm-hmm, so you really spent a lot of your career on the lab bench, looking at things on a micro level, and that led you to a more kind of macro approach where you’re at least understanding all of those mechanisms within the context of this larger functional and evolutionary perspective. Worried about Alzheimer’s? Diet and lifestyle play a bigger role than you think. How Much Does Environment Influence Alzheimer’s? Chris Kresser: Wow. Yeah, it is exciting. I think, with Alzheimer’s disease, one of the biggest questions that is on people’s minds is, how much of this is actually in our control? We know that there’s a strong genetic predisposition to Alzheimer’s, but we also know that there is a strong contribution of environment because the rates of Alzheimer’s disease have increased much more rapidly than any kind of genetic changes could have occurred. So what’s your take on the relative contribution of genes versus the epigenome and the environment in Alzheimer’s etiology and pathogenesis? Dale Bredesen, MD: I think that there is a tremendous amount that is under our control, much more than people have realized, and I say that because even with the genetics, as you know, you can impact with epigenetic changes. For a simple example, what’s called the ApoE epsilon 4 allele (ApoE4), is the most important genetic risk factor. So if you have zero copies of ApoE4—for example, if you’re a 3/3, as is the most common—then your chance of getting Alzheimer’s through your lifetime is about 9 percent. If you have a single copy of ApoE4, your chance is about 30 percent. If you have two copies, it’s somewhere between 50 and 90 percent, so in other words, it’s more likely that you’ll get it than that you’ll not get it. Dale Bredesen, MD: On the other hand, people with all three of these different genotypes have done very, very well on a functional medicine type of program, and so what we find is, of course, you want to get it started as early as possible, but you want to understand the drivers of the underlying process. This is a huge problem, as you know, in our country right now. For example, it’s often pointed out that there are 5.2 million Americans who have Alzheimer’s disease, but that’s really somewhat of a misleading number because, of course, most people are too young to know that they’re on their way to getting it yet. Dale Bredesen, MD: So what you really want to know is, out of the current about 320 million Americans, how many of us will develop it during our lifetime, and the answer is about 45 million people. So it’s a huge problem. It has recently become the third leading cause of death in the United States, and of course, it’s a problem throughout the world. So the bottom line is there is a tremendous amount that can be done and especially with prevention, and multiple groups are now reporting good effects with prevention, for example, Dr. Fotuhi out of Johns Hopkins, the large FINGER study out of Finland. These are all seeing the same sorts of things with a multicomponent program. Dale Bredesen, MD: I think that that’s what the biochemistry tells us to do. For example, going back to ApoE4 for a moment, as you know, ApoE4 changes your lipid metabolism, changes your lipid absorption, changes your chance to activate an inflammatory process, changes the activation of NF-kappaB. All of these things are critical pieces of this, and yet they can all be addressed in a functional medicine approach. Chris Kresser: Mm-hmm. So let me see if I can reframe that a little bit, and tell me if you agree. Those statistics you shared regarding ApoE genotype and risk, there’s a pretty dramatic difference, you know, between 9 percent and then all the way up to 50 to 90 percent for homozygous carriers of ApoE4, but we could say, maybe if we get even more specific, that those statistics apply to the population of people that have been studied who are following a standard American diet and lifestyle. 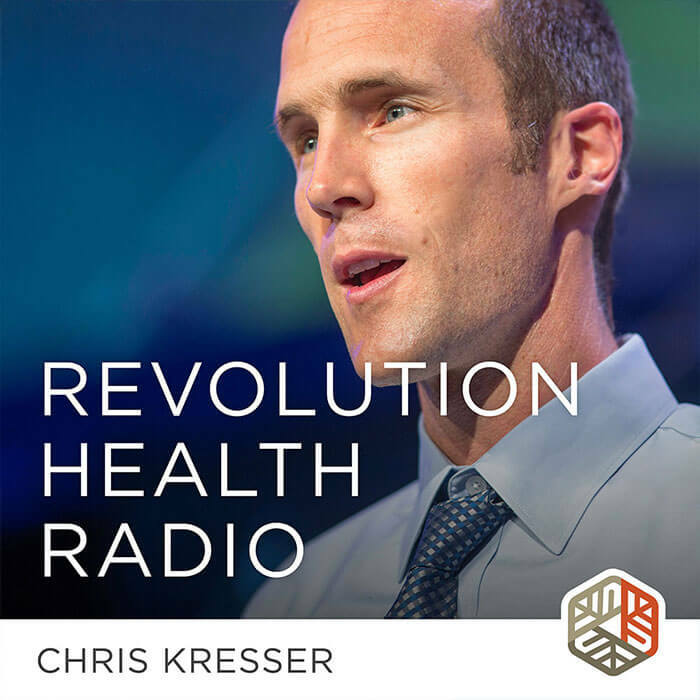 Chris Kresser: I just want to point that out for the listeners because I think what might happen is some people who are listening to this who are following a nutrient-dense diet and managing their stress and addressing any underlying health problems and pathologies might think that those statistics apply to them and get really freaked out! In fact, I’ve seen patients come to me with their ApoE4 heterozygous or homozygous, in tears basically, with the idea that it’s written in stone that they’re going to get Alzheimer’s, and I go to great lengths to explain to them that those studies apply to a general population and they are not really any longer part of that general population after they’ve made those changes. Dale Bredesen, MD: That’s a very, very important point, but these are exactly the people that should be getting on a prevention strategy early. Dale Bredesen, MD: They can do very, very well. In fact, we have people who have actually started down the cognitive decline, recovered on the program, and then stayed for years, sustained the improvement. Now, the longest our program has been around is just over four years, so we have people who have sustained their improvement for just over four years. We don’t know how many more years it will be, but we do know that they’ve removed their risk and they have removed the biochemical drivers, because these can be measured in the blood, so that we’re very enthusiastic and optimistic about their remaining healthy for many years to come. Chris Kresser: Yes, and that’s, I just want to point out, a far better prognosis than the vast majority of people who are diagnosed with this disease have. Should We Get Genetic Testing to Assess Alzheimer’s Risk? Chris Kresser: Yeah. I have a related question on genetics, and I think we can think about it in terms of two populations. Let’s take someone who is already doing everything that we would recommend to prevent Alzheimer’s—a solid diet, they’re addressing underlying pathologies, they’re working with a functional medicine practitioner. Do you recommend that somebody like that gets genetic testing? That includes ApoE4, but I understand there are other tests that can be used to roughly quantify disease risk. And then let’s talk about another person who’s not doing any of those things—the typical standard American diet and lifestyle person. Is it worthwhile for them to get the testing? Dale Bredesen, MD: It’s a very good point, and I actually think it’s worthwhile for both to get the testing. What we recommend is, as you know, when you’re 50, you should get a colonoscopy, and we would say that when you’re 45 you should get a “cognoscopy.” That’s probably a poor term, but the idea is to get a cognitive assessment and to look at your biochemistry and genetics. It’s relatively straightforward to do. Yes, you may already be doing many things correctly, but you want to be sure that your biochemistry is reflecting that. We are finding people who are doing things correctly, but for example, may have chronic inflammatory response syndrome, as you well know, from [Dr. Ritchie] Shoemaker. We do find frequently people with high C4A’s, TGF-beta-1’s, low MSHs. Actually we’re more and more interested now in the rhinosinal microbiome. Of course, there has been so much written about the gut microbiome, but if you look at what is the most direct route to the brain and to damaging the brain, in fact, it is through the nose, not the gut. Dale Bredesen, MD: In fact, interestingly the pathologists have told us for years, whatever causes Alzheimer’s looks like it’s coming in through the nose. If you follow the pathology, it’s really the rhinencephalon. It really looks like there’s “unknown pathogen” that is causing this, and I think now we’re understanding what these pathogens are better and better. I’m sure you’re aware of the study that just came out of Harvard last week, showing that amyloid is actually antimicrobial. Dale Bredesen, MD: No huge surprise! Dale Bredesen, MD: We know that organisms liberate amyloid for three different reasons, and we’ve said actually for several years now that, in fact, what we call Alzheimer’s is really a protective response to three different fundamental metabolic and toxic perturbations. Chris Kresser: I want to come back to that. I definitely want to go over those three, but I want to first ask you, I know one of those three is a mycotoxin/mold type from reading your paper. Regarding the sinus microbiome, have you seen a correlation between MARCoNS—multiple antibiotic-resistant coagulase-negative staph, for the listeners, which is a colonization of antibiotic-resistant staphylococcus in the nasal cavity—have you seen a correlation between that and those type 3 Alzheimer’s patients that we’ll talk about in a moment? Dale Bredesen, MD: To the extent that we can say with a relatively small number of people—we’ve had just over a hundred people come through—yes, we have seen that, but of course, I can’t say statistically. We don’t have enough people yet that we can be very firm about that claim. What we do see, though, repeatedly is that people who present with what we call type 3 Alzheimer’s disease, typically more of a cortical presentation—they have things like dyscalculia, where they have trouble with simple calculations, they have trouble with serial 7’s, subtracting 7 from 100 repeatedly, they have trouble with executive functions, organizing things—those people virtually always have MARCoNS, have some suggestion, high TGF-beta-1’s, high C4A’s. Low MSH is very, very common, and typically they have the HLA-DR/DQ haplotypes that were shown by Ritchie Shoemaker to be associated with CIRS. They have the pheno 4-3-53’s and the 11-3-52B’s and things like that or are mycotoxin sensitive. Or as you alluded to earlier, what about beyond mycotoxins? Yes, we definitely have some who are chronic Lyme patients. Chris Kresser: Mm-hmm. Are you familiar with Dr. Susan Lynch’s work at UCSF? Chris Kresser: I’ve read some of her papers. I think you’d be really interested. She studies the sinus microbiome, and she has argued that—big surprise!—it’s not so much the presence of a pathogen in the nasal cavity that is the problem, but it’s the microbial diversity. So when you see lack of microbial diversity, that’s when pathology occurs, and when the microbial diversity is strong, there can be the same pathogenic species present, but they’re protected against by the beneficial microorganisms. She found one microorganism, which is Lactobacillus sakei, the one that is used to make sake and kimchi, has a particularly protective effect. I know you’d been at UCSF for many years, so I just thought you might be aware of her work. Dale Bredesen, MD: That’s interesting because it fits perfectly. We’ve been talking basically about the exact same thing because I’ve been in discussion recently with Dr. Thrasher and Dr. Dennis. Dr. Dennis is an ENT out of Atlanta, who has spent years looking at chronic rhinosinusitis due to various mold species, and has the same approach of trying to restore the normal flora as part of the approach. Again, we’re seeing this as being a potential contributor repeatedly in people, especially with the type 3. Chris Kresser: Yeah. Regarding those types, we kind of let the cat out of the bag with one of them, but maybe you could tell us more about the other two and then maybe summarize the third again. Dale Bredesen, MD: Right. As you know, there’s been so much work on amyloid as being the “cause” of Alzheimer’s disease, and in fact, a lot of pharmacological approach is to simply get rid of amyloid. Dale Bredesen, MD: What the problem is, is that you want to know really what is causing it. You don’t want to get rid of it if it’s going to be something protective. Now, of course, with the latest claim that it’s also antimicrobial, now we’re talking about, is it both damaging and also protective? If you take a step back and ask, why do organisms actually make this stuff? As I said earlier, it really boils down to being a protective response to three different metabolic and toxic perturbations. What we call type 1 is people who have ongoing infections or other causes for inflammation. Whether it’s sterile inflammation or whether it’s infection-related inflammation, that is type 1. Of course, you liberate the amyloid as part of an antimicrobial protective response. Type 2 is something that happens when you withdraw trophic support. If you just take neurons in a dish and you withdraw their nerve growth factor, for example, or their brain-derived neurotrophic factors or other trophic support, they will produce amyloid as part of a programmatic downsizing. That’s type 2. Then there’s something we call type 1.5, and here’s why. If you have glycotoxicity, so you have an insulin resistant state, as you know, and you also have things like advanced glycation end products, then the problem is that you have both an inflammatory induction through things like AGEs and also atrophic withdrawal response because now insulin, which is one of the most important trophic supports for the brain, you’re now resistant to that signal, that set of signals, and so you have unfortunately a double whammy here of type 1 and type 2. So we call that type 1.5 because it gives a little of both and it’s actually a very common cause of MCI and ultimately Alzheimer’s disease. Then type 3, as you mentioned earlier, is really what we see with a toxic exposure. So, yes, if you actually have an infection related, then you can have some type 1 in there as well, but type 3 is when you typically have response to mycotoxins, to chronic Lyme, to other chronic infections. We sometimes see this with chronic viral infections, HSV-1, things like that, where you’re now responding in a way that’s really more like a CIRS type of response. These people do tend to present differently. They need to be treated differently for optimal response. Chris Kresser: So tell me a little more about your approach. Let’s say someone comes into your clinic. Where do you start? Do you have a panel of tests that you do that begins to kind of organize them into one of these types? Once you know their type, I imagine that directs the treatment plan. Dale Bredesen, MD: Exactly. What we think is most important, instead of just launching into a treatment without knowing where you’re going, the idea is to look at as extensive a database as you can. And I should say this is similar to what others are doing, whether you look at what Lee Hood is doing with Institute for Systems Biology, where they’re looking very deeply at things like genomics and proteomics, or of course, Craig Venter is now doing the same sorts of things now in La Jolla, and there are other groups doing these sorts of deep dives as well. The idea is that we want to increase the dataset’s size so that we can understand all the things that are driving the process. Right now, if you compare it to what’s going on in oncology, people do the entire genome sequence of the tumor and the host and they compare them to look at what’s actually driving the process. In degenerative disease, of course, we don’t have a tumor to biopsy, so we collect right now just over a hundred pieces of information that are historical, biochemical, genetic, imaging, and function, and then we put that into an algorithm that we developed (we’re working with a group in Silicon Valley led by Lance Kelly), and from there, it will generate for you the percentage contributions for the different subtypes and then also an initial functional medicine type of plan. And of course, the physician can then decide to edit that, change it depending on his or her background and interest, but this, at least, helps. This is essentially like having a physician’s assistant. This is generating something that can get the program started. So we address many different things from inflammatory things to metal homeostasis to hormonal optimization to CIRS-related effects to toxins to infections, so forth and so on. And I think, as you know, going forward, with the ability to look at neural exosomes that’s been pioneered by Ed Goetzl out of UCSF, we’ll really have a better and better real-time view at what’s actually going on in the brain through a blood sample. Chris Kresser: Yeah, that is exciting. I know you’re aware of this as well, the new genomic/proteomic testing that Dr. Shoemaker is using to look at how gene expression changes in real time in response to treatment for CIRS is pretty exciting as well. Chris Kresser: Then you, I believe, are using NeuroQuant in your diagnostic workup. Is that true? Dale Bredesen, MD: At times. Actually I happen to like Neuroreader because Neuroreader gives you 39 different brain regions and gives you a z-score for each of the 39 different brain regions. NeuroQuant doesn’t do nearly that many regions, but it does give you hippocampal volumetrics. Whatever you choose, whatever you like to use, getting volumetrics on MRIs is so important. Chris Kresser: Just for the listeners who aren’t familiar with this, this is changes in the structure of the brain that can be caused by chronic inflammatory response syndrome, which we’ve now discussed on the podcast with Dr. Shoemaker twice, and I’ve written a couple of articles about that as well. So you go through this testing, which is comprehensive. I’m constantly talking with other doctors in my training program and patients and anyone who will listen to me about the importance of doing extensive testing up front. That it is a big expense, but my firm belief—and this is borne out by my experience, and I’m sure it is by yours as well—is that if you spend more up front, you often end up saving much more down the line because you get the information you need to make smart decisions. Dale Bredesen, MD: Yeah, I couldn’t agree more. As you say, you will save down the road, and not only that, you will then uncover what’s actually driving the underlying process. As you know, without understanding that, there has been great failure, and you could argue that the greatest area of medical failure is in the ability to reverse neurodegenerative conditions. Dale Bredesen, MD: So without that, we’ve been very, very unsuccessful. Now, with it, it doesn’t mean we’re 100 percent successful, but it gives us a much better chance to improve. And again, we suggest to people to come in early. Dale Bredesen, MD: Don’t wait. As you know, that’s been a real problem. People will wait until it’s very, very late. Chris Kresser: Yeah. We need to get this so deeply integrated that this is just the default and it becomes the default diet and lifestyle. Who knows what’s possible when people are following this kind of… Well, actually I think we do know, to some extent, what’s possible when we study populations that have followed a traditional diet and lifestyle and who had at least some access to even emergency medical care. Diseases like Alzheimer’s are remarkably rare in those populations. Dale Bredesen, MD: Exactly. I think that there’s a tremendous opportunity to reduce the global burden of dementia dramatically. Chris Kresser: Mm-hmm. So once you go through the diagnostic workups and you start implementing these changes, where have you seen some of the biggest impacts in terms of diet, lifestyle, and functional medicine treatment with Alzheimer’s? I imagine it depends on which type—1, 2, or 3, but are there any particular things that stand out for you in terms of the biggest changes that people can make? Dale Bredesen, MD: Yes. We’ve just, again, published on this on a couple of occasions, where, for example, we have a person who has their hippocampal volume going from the 17th percentile to the 75th percentile. Dale Bredesen, MD: Just dramatic improvements in hippocampal volume, dramatic improvements in quantitative neuropsych testing. We have one guy who went from the 3rd percentile to the 84th percentile. There are people who are going back to work full time and doing very, very well. They notice the difference, their spouses notice the difference, and the quantitative testing shows this difference. This is not just a placebo effect. These are people who are actually having dramatic improvements. And, yes, as you know well, with a functional medicine approach, you really do have to live this. One of the things that I tell people is, imagine you have a roof with 36 holes in it, because initially we identified 36 different contributors to this switch in the brain. Then adding something that just covers one of the holes is not going to do you a lot of good. You really need to cover many of them, and that’s when you can see these dramatic improvements. So we do see it with people. As they move their metabolic parameters, so goes the cognition. We see people improving their hs-CRPs. A simple example is we have a guy who came in with a hs-CRP of 10, with a fasting insulin of 32, with a homocysteine of 15, with a BMI of 26. All of these things improved, and interestingly, he didn’t make them optimal, but he improved them dramatically. His fasting insulin fell to 8. His homocysteine fell to 8 also. His BMI actually came down to 24.5. All of these things, and just dramatic improvements. He actually had an improvement in his hippocampal volume as well. He’s back at work, doing very, very well. So the metabolic contribution to this problem is huge, and I think it hasn’t been quite appreciated enough that this is not just about a mysterious brain illness. This is a direct reflection of ongoing inflammation, ongoing metabolic changes, toxin exposures and that sort of thing. Chris Kresser: It’s yet another disease of modern civilization. Chris Kresser: Yeah. So if we step back and think about where the research on Alzheimer’s has been, where it is now, and where it’s going, what are the things that you’re most excited about in the next 10 to 15 years? Dale Bredesen, MD: I’m excited about a number of things. I’m excited about, as I mentioned earlier, the neural exosomes, the ability to take a blood sample on any given day and tell you what is going on with your brain chemistry, your brain signal transduction, your brain trophic support, your brain ongoing infections, those sorts of things. It’s a very, very powerful tool, and I think we’re just seeing the tip of the iceberg on this. I think we’ll see a lot more of this over the upcoming years. The second thing is the ability to look at the appropriate microbiomes, be they rhinosinal or be they GI, be they skin or other things that are going to contribute to this ongoing problem. We’re getting a better and better look at what the innate immune system is doing. This really does overlap in a very interesting way with CIRS. The surprise to us has been these people often will have the laboratory values of CIRS but will not have the history of CIRS, so they really don’t quite fit the Shoemaker-defined paradigm for CIRS, and yet there’s something about the innate immune system that is activated in these people. And as I mentioned earlier, their HLA-DR/DQs are ones that are, in fact, CIRS associated, so there’s a very interesting hint there. Then, I think, we’re going to have better and better imaging techniques that will help us. For example, there’s retinal imaging that’s going on, started initially by Keith Black and Steve Verdooner. They started a group called NeuroVision, and I think this will be helpful as people do more and more of the retinal imaging. We’d be able to begin earlier and earlier. One of the things I’m most enthusiastic about is, now that you’re looking at genetics, you identify, for example, 7 million Americans are ApoE4 homozygotes. We’re working with a number of them. I hear from people fairly frequently who are in that category and have found it out either through 23andMe or through their physician or another method, and they want to get on preventive protocols. I think that that’s going to be one of the big areas for the future. We should make it so that we can prevent the vast majority of these people from ever suffering cognitive decline, so I’m very enthusiastic about that. I think that all these things are going to be very helpful. Dale Bredesen, MD: —and now you close the 36th, and you can really see a big impact. As I mentioned, the lab has been going for 27 years now. I have never been, during that 27 years, as enthusiastic as I am now about the ability to reverse cognitive decline in neurodegenerative illness, and of course, ultimately this will be part of Lewy body disease, Parkinson’s disease, and other diseases, not just Alzheimer’s and pre-Alzheimer’s conditions. Chris Kresser: Mm-hmm. That is very exciting to me as well. To me, it’s the convergence of the ancestral, evolutionary approach, which is the way that our bodies are hardwired to eat and live, combined with the incredible advances of modern medicine. I think there’s a mistaken assumption at times that people who are advocates of the evolutionary approach have a kind of regressive attitude and want to throw away all of the advances of modern medicine, which is not true at all. We just want to couple that with a species-appropriate diet and lifestyle so we can harness those advances to the greatest possible effect. Dale Bredesen, MD: Absolutely. I think that’s a really good point. It really fits in beautifully with the whole ApoE4 theme because if you go back to our common ancestor 5 to 7 million years ago, when hominids first appeared, we descended from a group that had a different ApoE. ApoE4 really began with the hominids 5 to 7 million years ago, and it changed the structure of the ApoE, interestingly, and made it more proinflammatory. So it has to do, as you know, with cardiovascular disease, with Alzheimer’s risk, with inflammation, and with evolution, and the question was, how can something which is supposed to be a fat bucket, supposed to be carrying around lipid and that’s supposed to be it’s only job, how does it have such broad reaching effects? What we found and actually just published a few months ago was really a surprise, that, in fact, if you look at what ApoE4 does, it actually enters the nucleus and binds to the promoter regions of 1700 different genes. So it’s a little bit like finding out that your butcher who’s supposed to be the guy carrying around the fat is also a senator who’s also making the laws of the land. You’re really changing the entire program in your cells by the presence of ApoE4. Dale Bredesen, MD: —because you had this chronic proinflammatory state. So that was a good thing 5 to 7 million years ago, and it’s only been in the last 220,000 years—really only the last 4 percent of hominid evolution—that we’ve had ApoE3, which has now, of course, become the dominant one. And then ApoE2 just appeared about 80,000 years ago. So you’re absolutely right. This was part of evolution. Chris Kresser: And it’s why I think it’s so crucial to have this evolutionary perspective in any practice of medicine. You begin to understand how evolution shapes our genes and our genetic expression, and without that understanding, we’re really in the dark. We start to make assumptions that are not correct and can lead us in the wrong direction. LDL, for example. Low-density lipoprotein has some antimicrobial effects, so this idea that the lower, the better, that if we got it down to zero, we’d be better off, just completely ignores the important function that it had from an evolutionary perspective and still has today. Many of the changes that were protective in our traditional native environment are now problematic in this modern environment, and we haven’t had time to adapt. That’s pretty much the whole evolutionary nutrition and lifestyle argument in a nutshell, isn’t it? Dale Bredesen, MD: Absolutely. And you’re right—people will come in and they’re trying to drive their LDLs so low. We see this all the time, where you have some atrophy and it’s associated with having a very low cholesterol. Why? Because you’re on a statin. Dale Bredesen, MD: You’re preventing your cells from doing the thing that’s actually appropriate, so you end up with a brain that has shrunken without the appropriate lipid content. To explain to people that this is actually not good for your brain is not easy. Chris Kresser: Yeah. It’s swimming upstream. It’s going against the dominant paradigm, and that’s why I was so excited to meet you and speak with you. You’re someone who has a background in conventional Alzheimer’s research, who has shifted through your own process of discovery, not from reading a book on Paleo or functional medicine, per se, but just through your own thought process came to a functional and evolutionary perspective. I’ve kind of felt like this is how the change is going to happen. It’s going to happen from doctors such as yourself, pioneers who are in the trenches and who have come to this conclusion through their own work with patients and begin to understand that this is the future of medicine and that the way that we’ve been doing it is not going to work and who take matters into their own hands to push it forward. Chris Kresser: So thank you for being a pioneer in that world. Dale Bredesen, MD: Thanks, Chris. Yeah, this is 21st century medicine. It’s not monotherapies anymore. It’s not trying to attack complex chronic illnesses with single drugs. It is looking at what is the actual cause, going physiologically and going upstream and going with multimodal approaches. If you had told me 10 years ago in the lab that we’d be telling people how important meditation is and yoga and nutrition, I would have laughed! Now I realize the biochemistry is undeniable. You can just look at it and say, OK, this is why you have to drive your biochemistry to this point, and by the way, this is why you have cognitive decline, because your biochemistry is not there yet. Chris Kresser: Yes. So on this note, I’m curious. You’ve been doing this work for some time. You’ve shifted to this perspective. You’ve published a few papers on this perspective. It sounds like you’ve been doing this for four years now with patients. What has been the response in your field? I imagine it varies, but just tell us a little bit about what the range is. So it’s kind of a bizarre situation where we’re so set up with this classic idea of doing single-variable clinical trials. We have to break out of that and look at the approach of multivariable trials. Chris Kresser: I couldn’t agree more. Of course, one of the key principles of functional medicine, as all of my listeners know by now, is that it’s personalized. It’s not single disease, single treatment. This is what your model illustrates so beautifully. You could have three different patients with the same disease label and they’ll get three different treatments because the pathologies that are driving those diseases are different in each of those three patients. Same disease, but different pathologies, so you get a different treatment. That’s exactly why I called my training program ADAPT. 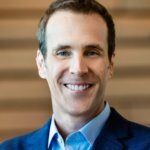 It stands for Advanced Diagnostics and Personalized Treatment, because as any functional medicine clinician will tell you, you get people who come in and they’ve been diagnosed with the same disease, but they can present in a totally different way, and they need a different diet, different interventions across the board. And I think once we really shift into a mindset like that in medicine overall, that’s when we’re really going to see a whole new world of treatment possibilities open up. Dale Bredesen, MD: Absolutely. So, Chris, let me ask you a question. Dale Bredesen, MD: How do we do n-of-1 clinical trials? Chris Kresser: That is a fascinating question! I don’t know. I don’t know. It’s something that’s been on my mind for a long time. I have had some ideas that I’ve talked with Mark Hyman about for how to structure functional medicine trials. I’ve been thinking about it for years because I was trained initially as an acupuncturist, and as you know, I’m sure, in Chinese medicine and acupuncture, it’s the same idea. You customize the treatment based on the person, which makes it very hard to study from a conventional, allopathic paradigm because it doesn’t lend itself well to that. I’ll have to get back to you on that one, Dr. Bredesen! Maybe we can get together and have a chat about it because it seems like a challenge just to design trials this way. Dale Bredesen, MD: Yeah, what we’ve been thinking is that the old way of the trial was you say, OK, a hundred people or a thousand people or whatever are going to come in, and we’re going to treat all of them with blank. Dale Bredesen, MD: Drug X. And then we’re going to have a placebo group. Great. Makes sense. And instead of going after, here’s the treatment, because as you said, it has to be different for each person, depending on what is best for them, maybe we go by not the same treatment for everybody, but to try to optimize each person’s biochemistry. So we say, OK, we’re going to drive everybody’s homocysteine to 7 or below. We’re going to drive everybody’s hs-CRP to less than 1. We’re going to drive everybody’s vitamin D to between 50 and 80. You go on and on and on like that. Then you have a way that you can actually have it in a scientifically valid way, and yet it’s not the same for each person. Chris Kresser: I think that’s a great way to approach it, and that’s exactly what Mark Hyman and I were discussing. If you have targets that you can reach and those targets have been shown in other studies to be associated with that particular condition, then you do have objective measurement, and it takes the variable of, oh, well, maybe this clinician didn’t do the right diagnosis or the right treatment, out of the equation too, or at least minimizes that. Dale Bredesen, MD: Right. Will you please tell the IRBs for us? Chris Kresser: I don’t know if that will help you, but I’ll write a letter! Dale Bredesen, MD: OK! Thanks! Chris Kresser: Thank you so much for being here. I look forward to continuing to collaborate with you. I again just want to thank you for having the courage to step out of this dominant paradigm. To be in that world for as many years as you were—and still are—and to have the conviction to follow your own instincts even if it takes you into the world of “weird,” as your colleague said, that’s no small thing. I think a lot of people, even if they thought that was the right direction to go, might not do that because they’d be concerned about the effects that that would have on their career, and I just applaud you for putting your patients first and doing what you know is right. Dale Bredesen, MD: Thanks, Chris. You can’t ignore the data. Great talking to you, and again, thanks for the discussion. Chris Kresser: Likewise. Take care. Now, it’s your turn to share your thoughts. What do you think about Dr. Bredesen’s approach to Alzheimer’s disease? Comment below and let me know. Any effect of platelet rich plasma on BDNF or AD. Does that promote cellular prion protein? Is platelet BACE1 levels a marker for AD. APOE4/4 here. This podcast was quite intellectually stimulating and all, but many of us are in serious need of practicable advice that we can start now. I rotate between Paleo, and WAPF. I exercise. I sleep enough. I use f.lux. I make kefir. I’m giving up my lucrative career and and moving out of the city, because it’s the only way I can think of to reduce my stress to sub-pathological levels. I’m told by different authorities to not eat much fat or to not eat much carbs, or to not eat much of either (hmm… perhaps a big bowl of shirataki noodles with steamed parsley for dinner?). My grandmother died of Alzheimer’s complications, and I’ve had significant cognitive decline since my 20’s (now 48), but I’m still “normal” and “healthy” and “smart” compared with most folks. I feel extremely uncomfortable and inflamed on a low-fat, higher carb diet, but I’m concerned about my borderline high LDL-P (which my doctor says is a result of my APOE status and indicates I simply must eat a low fat diet and consider statins). I’m also concerned about my low beneficial gut flora and low diversity (which a low carb diet will only exacerbate). I’m not fat yet, but my fasting BG is going up (100), and I can tell there are some other dubious metabolic and inflammatory processes going on that I can’t identify. I feel that as an APOE 4/4, I can’t afford to have ANY of these things going on, and yet I don’t know where to go from here other than to keep doing all the things the ancestral movement people say to do, even though this isn’t sufficient in my case. Doctors and naturopaths have only led me in circles, and at a cost that I can no longer justify. Does anyone know of a really good online program or book that includes additional SNPs I should be looking at, specific lab testing with custom protocols, etc?. Does Chris Kresser recommend any specific dietary approach for APOE4, because I haven’t found it in the articles I read. I feel like there’s so much interesting research out there, but I have no idea how to access the type of care I need, or just the information I need to implement it myself. Any advice would be appreciated. Some really knowledgeable people there who are eyeball-deep in the latest research. Has there been any studies that show what fuel source (ketones or glucose) the brain will preferentially use in the case where both are present? I.e. given carbs in the diet, will just adding mct change what the brain uses? There was a great Stem Talk podcast episode (#12) that talks about how Alzheimers is a metabolic disease that causes the brain to downsize. Highly recommend! And for a completely different mind-blowing approach.. There was a great RadioLab podcast (“Bringing Gamma Back”) where they talk about an MIT study showing how flashing lights into the brain of pre-alzheimers mice, actually caused the microglia to clean up the beta-amyloid peptides/plaques and restored memories. The blue fiber-optic light administered thru a hole in the skull, apparently amplifies the natural 40hz gamma waves that should be present in thinking brains, but are weak in diseased brains. Surprisingly it also worked just by shining the light in their eyes! It’s yet to be seen of course in humans, and whether removing the plaques restores old memories and/or allows new memories to be formed once there is too much plaque. They also mention a 2006 study saying that 99.6% of all Alzheimer mice research fails when applied to humans. Bummer. Thanks for the information. I am also ApoE 3/4 and am seeking information about the best diet and lifestyle for this gene type. My functional medicine practitioner recommended a low-fat vegan diet with some fish, but I am looking for studies to validate this recommendation. I would love to hear what Dr. Breseden recommends for healthy, young people with an ApoE 3/4 gene type in order to prevent Alzheimer’s. Please send information on steps, food programs and any steps we can implement now. Most promising! I live in San Diego and would love referrals to particular functional medicine Drs in the area, specifically in relation to Alzeimhers disease prevention. Also is there a specific clinic that is recommended for the genetic testing. My Mom, who just turned 65, moved into a nursing home and her Alzeimhers moved at a rapid speed. I look at my children and the thought of them going through this with me breaks my heart. Thanks for any suggestions. Great information here. Definitely glad to hear that there is something we can do about improving our condition. 5.2 million people is significant. Prevention or rather health positive action is important to do while we have the faculty to do it. I’ve seen my in-law decline somewhat rapidly. Its my 1st personal experience to witness. Sharing with my wife. thank you so so much for this. My mother is suffering from alzheimer’s and I am currently trying to search for any kinds of methods, either natural or getting to alzheimer’s medications http://rxcoupons.org/coupon-categories/alzheimers-and-parkinsons/ it doesn’t really matter. I just want to help my mother, that’s why thank you very much for this article, I really appreciate it a lot! Great podcast! Dr. Bredesen mentioned going to see a functional neurologist around age 45 to examine biochemistry and lifestyle. Any suggestions to look for a great practitioner? Located in the greater New York area, any suggestions welcome! Hi from Australia, love the info (what I can understand!) and the approach. Can you please let me know if there is a way of having a consult from way down here or are there any Doctors in Victoria, Australia you could recommend? there are only a few in Australia and even one in Melbourne. While your waiting to make your appointment you may find Dr Mark Hyman’s relevant book “The UltraMind Solution” useful, I am working through it at the moment and will start it’s diet/lifestyle recommendations as soon as I properly understand it. It was written before Dr Bredesen’s papers but I think it has enough good stuff in it to still be powerful. At the risk of overstepping my bounds here, I’ve noticed several people asking for specific information regarding the dietary and lifestyle interventions that might (*might*) be helpful for delaying the progression of and possibly even reversing some of the existing damage in Alzheimer’s mild cognitive impairment, and similar conditions. I wanted to let people know that I’ve written an e-book about all this, and I specifically cover the issue of Alzheimer’s as “type 3 diabetes,” or “diabetes of the brain,” as it is often called now in the medical literature. Dr. Bredesen is absolutely correct that these are multifactorial disorders, and they require multifactorial interventions, but in other interviews, such as with Mark Hyman, he has specifically referred to switching the body to a “lipid-based metabolism,” including the use of MCT oils to boost brain-nourishing ketone levels. I mention Dr. Bredesen’s work in my book, and you can read the full text of one of his very fascinating papers here: http://www.ncbi.nlm.nih.gov/pmc/articles/PMC4221920/pdf/aging-06-707.pdf You’ll see that the intervention also called for exercise, short “fasting,” improvement of quality and quantity of sleep (including melatonin supplementation where warranted), and optimization/repletion of micronutrient levels, plus thyroid hormone, and more. But honestly, none of the interventions called for should surprise any of us. Like Chris & Dr. Bredesen discussed, they are mostly what we already know (or *believe* we know) about how to stay healthy and ward off the “diseases of civilization” — real food, manage BG & insulin levels, adequate physical movement & time outdoors, respect for the body’s natural circadian rhythm, etc. BUT: for someone who *already* has Alzheimer’s, MCI, or some other severe condition, the intervention would likely need to be more intense (e.g., a strict ketogenic diet, very targeted supplementation, etc.). But for *prevention* in someone who is currently healthy, things likely don’t need to be that extreme. As for the genetic factor of ApoE4, I discuss that in my book. Bottom line: ApoE4 does not “cause” Alz. Plenty of people who are homozygous for E4 do not develop dementia, and the majority of people who *wo* have AD or MCI are *not* E4 carriers. One of the single largest risk factors — independent of genetics — is hyperinsulinemia. I appreciate your sharing info about your E-book. Yes, I do agree that many of us are familiar with this type of thinking re: diets etc. Still, I wonder why do all people with Down Syndrome who live long enough get early onset Alzheimers?? Any thoughts? I haven’t looked into the research on Down Syndrome, but with Down being trisomy 21, my guess would be that there are genes encoded for on chromosome 21 that are involved in lipid/lipoprotein processing and/or insulin regulation, and having an extra copy of this chromosome affects expression of those genes. Many individuals with Down are also somewhat overweight — not always significantly, but they tend to be on the slightly “chubbier” side. It’s possible that’s all related. This is just speculation on my part, though. I would have to look at the research. Thanks for responding. Hypothyroidism is common in DS too -however often not treated as confusion about what is DS and what is thyroid. I’m not sure about diabetes however you’re right many with DS tend to be on the heavier side. My daughter was born with a belly, and still has one – she’s not overweight but I suspect could easily get there. I am a fellow searcher and have come across a number of useful sites. I am currently working through Dr Mark Hyman’s book UltraMind Solution, this has a good write up of a number of biochemical issues and detoxification issues. I find it very useful though it predates Dr Bredesen’s recent findings. Thank you Frank. I will find that book and read it. I appreciate your response! Wow! What a beautiful interview. Probably the best and most informative information on Alzheimer’s that I have seen so far. I recognize, as other posters have mentioned, that there is little ‘actionable information, in the interview. However, it does seem to me that other than eating real, natural, whole foods, not much can be recommended without conducting individual testing. Again, great interview and thanks! If you google the interviewee, there are published studies and – if you dig deeper – a list of the nutrients he uses. This is exciting to read. Thank you for this interview. This is podcast is over my head with all the latest terminology, I don’t keep up with. But I caught some bits I could understand. I’ve been following Chris’s site for years and lately I’ve been noticing a trend to more compact technical info. While I respect and long for the in depth work, I’m having a harder time understanding and appling the info in these interviews to actions I can take. What brought me to Chris’s site and kept me here was the way he could ‘translate’ the technical and researched info into ways I could apply it to my life. As one who can not afford the tests to pinpoint genes and which dietary and lifestyle changes would be most applicable to my situation, it would be more helpful to see an overview of the diet and lifestyle changes that could help a lot of us prevent Alzheimers’ . I will keep coming back to this site as it continually proves to be some of the best information I’ve ever found. Thank you Chris for that interiew! Kudos, to Dr. Bredesen for doing such cutting edge research. The link to the “rhinosinal microbiome” re. Alzheimer is especially fascinating…and the idea that what goes on in the nose is more responsible for damaging the brain than the gut. Many “insights” kept blinking, as I read your interview. I asked myself – when reading the ref. to the nose – why not take the whole “oral cavity” into consideration! Not brushing & flossing your teeth has been deemed detrimental to our health on so many levels… now maybe “brain health” can be added as another one. I would love to know if there’s any way to have access to knowledge of how to balance the sinus microbiome. After 35+ years of sinus challenges, trying so many different things, with only minimal results, the biome approach makes sense. I would appreciate some direction with this approach. I read that kimchi contains a particular probiotic that’s beneficial to the sinuses. Recently I’ve been applying a few drops of the kimchi liquid to nasal passages. What a great podcast. Dr Bredesen never quite answered the question as to his actual testing protocol. So it would be nice if you could do a follow-up at some point to get the specifics. re: Should we get genetic testing to assess Alzheimer’s risk? It also has a significant bearing on heart disease risk, and that risk can be largely mitigated by diet. E2s and E4s need to do different things, and the earlier they know, the happier the outcomes. Apo E status is pretty easy to tease out of 23andme raw data, but people need to know that the FDA won’t presently allow 23andme to do it for you. And I’ll bet that policy won’t change until effective prevention and treatment are available for the main conditions at risk (and effective treatments are very likely upside down from official dietary and health dogma, so you can see that this will take more than a while). Good info. I discovered that hypoglycemia is a major component in my Hashimoto’s, and that the hypoglycemia is a major factor in my memory issues, confusion, brain fog. His information basically verifies that, I think.